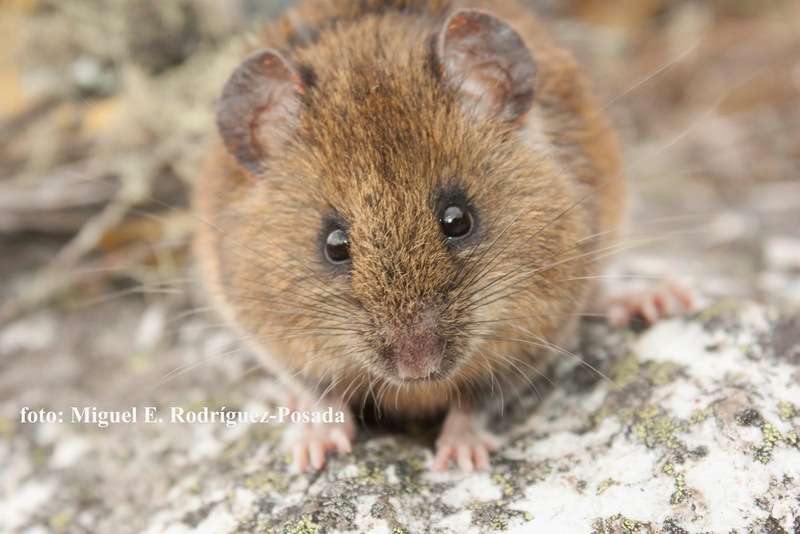 Thomasomys niveipes, photographed by Miguel E. Rodríguez Posada. Thomasomys is a genus of mice found on the eastern slopes of the Andes. Characters (from Nowak 1999): Head and body length about 90-230 mm, tail length 85-329 mm. Tail normally longer than head and body. Fur usually thick and soft. Head with hourglass-shaped interorbital region; relatively long and robust molar rows. Coloration above varies from olivaceous gray, dull olive fulvous, yellowish rufous, orange rufous, golden brown, reddish brown, and grayish brown to dark brown or almost black. Middorsal region usually slightly darker than rest of body. Sides blend into the underparts, which are silvery grayish, soiled grayish, yellow, buffy, ochraceous buff, dark gray, or dark brownish. Underparts usually not much paler than upper parts. Hands and feet about the same colour as underparts; often central part of upper surface darker and fingers and toes lighter, sometimes whitish. Coloration of tail varies from slightly paler than back to slightly darker; tail normally moderately haired. Female with six or eight mammae. [PL07] Packer, J. B., & T. E. Lee, Jr. 2007. Neusticomys monticolus. Mammalian Species 805: 1-3.